Christina and Alex even let their family help in the music selections, and the parents of the bride provided some great selections for dinner and dancing. 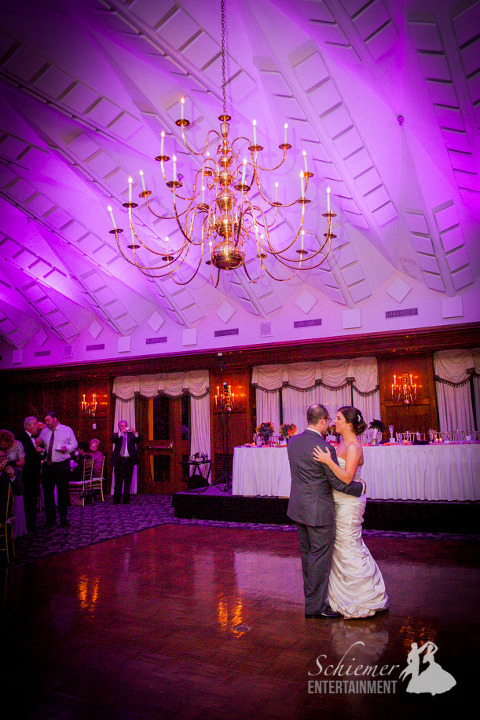 I was able to provide uplighting for the ceiling in the ballroom, which made the whole room look even more amazing. The guests at the reception were fantastic. They came to celebrate with the happy couple, and when dancing began everyone joined in the party. The songs varied from Motown to 70’s and some newer hits too, so no one was left out. As the last song came to an end, friends and family of all ages were there to cheer! Christina and Alex are off to a fun filled honeymoon where they’ ll enjoy the great outdoors in Arizona. It sounds so simple. Just do what you want on your wedding day. Yet so many people struggle with trying to find out how. I love it when a couple has created their perfect day by including special touches or events that will be memorable for the rest of their lives. Krista Shiwarski and Ryan Campbell made it seem effortless at the Chartiers Country Club in Pittsburgh, PA. The Country Club had been gorgeously decorated in purple. Uplighting provided by Modern Era Weddings really added the perfect touch. The newlyweds wanted their guests to be comfortable and relaxed at the wedding. To help be certain, small, customized bottles of wine were their wedding favors. Also, there were baskets of sandals that emptied quickly once the dancing started. It’s always a good time to work with people and discover their musical tastes. 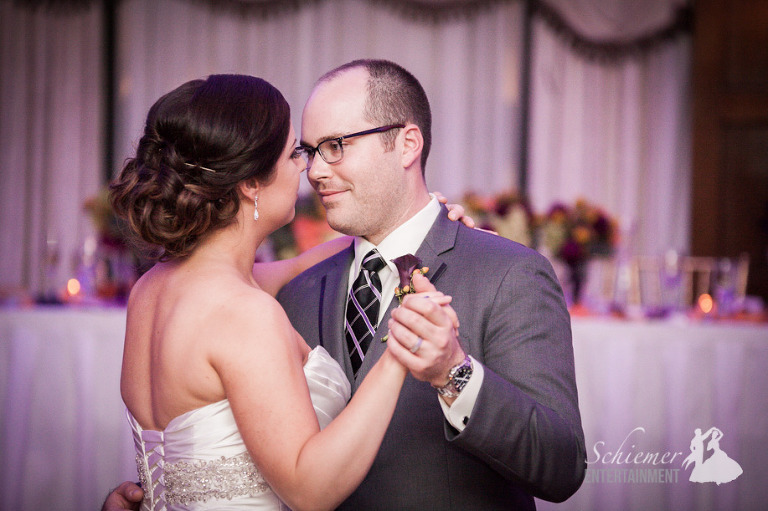 Krista and Ryan were sure to include a great variety of music that really appealed to everyone. After dinner the newlyweds had their first dance. 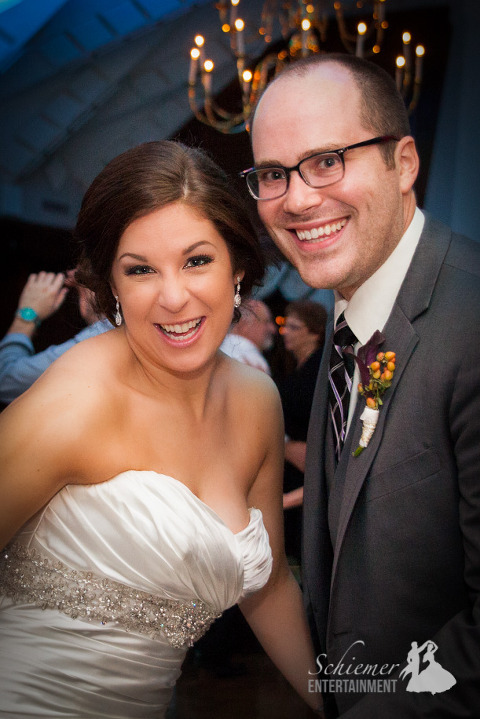 Krista and Ryan are a genuinely sweet and adorable couple. One of the many things that made the night special was a performance by Ryan’s father’s Polka band. They were amazing. The newlyweds will soon be off to Hawaii to celebrate their new life together, so they provided leis for all the guests to wear for the remainder of the evening. Simple touches like this could be found everywhere throughout the reception and really created a vibe that was as unique as this wonderful couple. 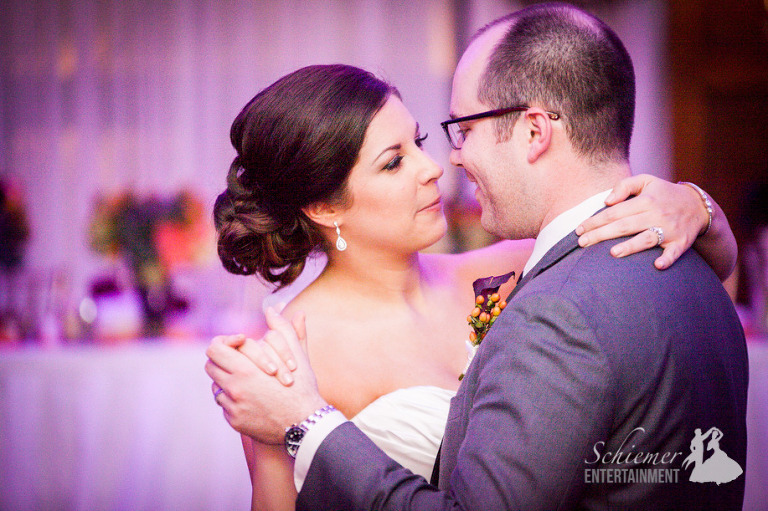 I was so glad to be a part of helping Krista and Ryan make their wedding day perfect.